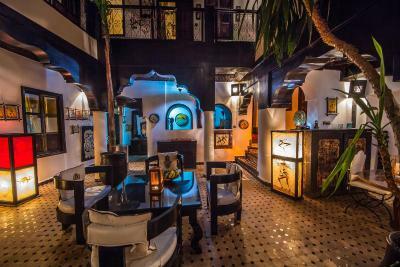 Lock in a great price for Dar Najat – rated 9.3 by recent guests! The staff is absolutely fabulous!!! They went above and beyond to assist us in every way! I like the fact that it was so close to the main plaza of Marrakech and at the same time it was like an oasis in the middle of everything... Peaceful and lovely place....big thanks to Olli and the rest of the team members, they all went above and beyond yo make us feel like queen and King on our honeymoon. 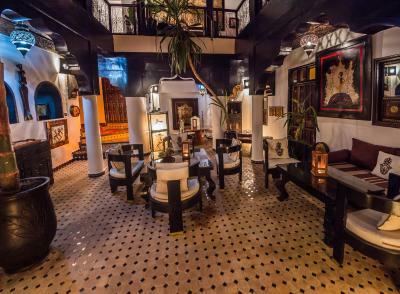 Dar Najat is a beautiful, comfortable Riad. The rooms are very nice. There’s a lovely roof terrace where breakfast is served, and the breakfast is great. The staff is extremely friendly and helpful. 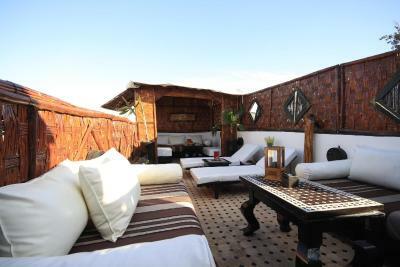 The location is great, just a short walk to Jemaa el-Fna and the souks, but far enough away that it’s quiet. I would definitely stay here again! 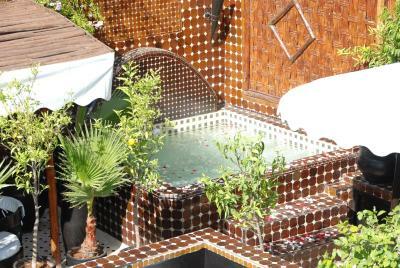 A wonderful, large Riad right in the middle of the Medina in Marrakesh. The staff were attentive and always helpful, they made us feel comfortable right away. We had a lovely room in the lower corner, yet could walk around the entire Riad. It's a really nice place to stay in the heart of city that is quiet, comfortable, and safe. Ahmed, Amin, Olli and the rest of the staff are nice, hospitable and very accommodating - this is why you stay here! Nice breakfast...and afternoon tea and juice are perfect after a day in the souks! 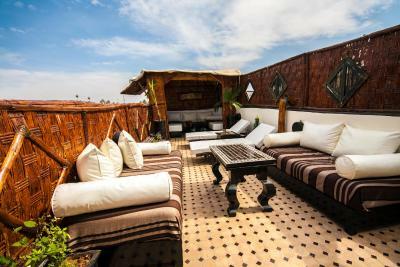 Convenient to Jamaa el-Fnaa, the souks and the palaces. 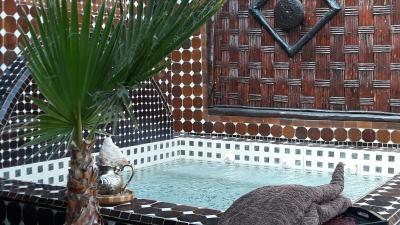 A beautiful Riad in a quiet part of the medina, but still close to everything. The staff was amazing, we felt like honored guests our entire stay. 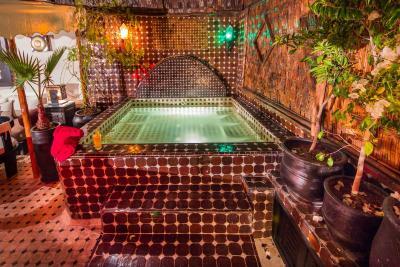 Dar Najat was a really nice place to stay in the medina and quite close to the main Jemaa el-Fna square. We could walk to all the sites in the medina and transportation out of the medina was available close by. When it was hot it was nice to dip into the "cool tub" available on the third floor. The staff is amazing , very friendly and willing to go out of their way to help. Excellent location. Staff were extremely helpful. On our first morning we were given a tour of the Médina to the square to ensure that we could find our way back to the riad. Lots of options for dinner in the Médina. 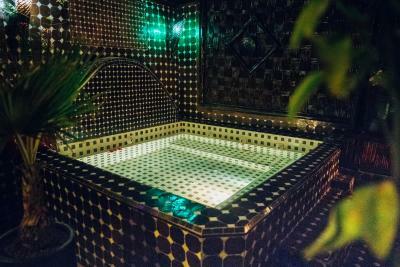 This riad was clean and had a nice room and bathroom. The location was close to the main square of the medina which made it easy to navigate in the complex system of alleyways. 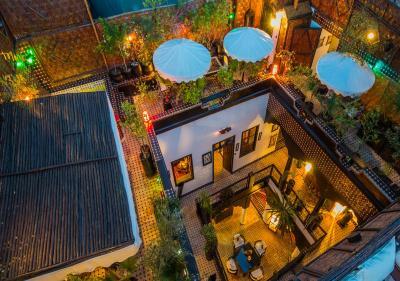 Located in the heart of the Medina of Marrakesh, this romantic 3-star equivalent guest house is a fully renovated riad, located within five minutes walk from the famous and colorful Jamaâ El Fna market area. Free Wi-Fi is available. You will also be close to Palace Badia, known for its gardens and bright, enticing colors. The calm and serenity of Dar Najat is overwhelming and gives you a sense of peace and tranquility. Once you step out of the door you feel back to a former era with the echoing sounds of the Medina Jemaa el Fna and the hubbub of Marrakesh life. After a busy day spent exploring the vibrant city, you will be happy to retire in the warm intimacy of your colorful and well-decorated room. 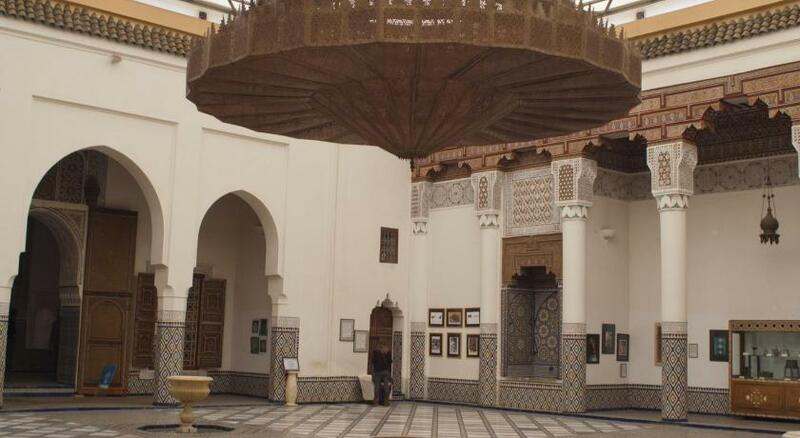 Medina is a great choice for travelers interested in street markets, markets and souks. 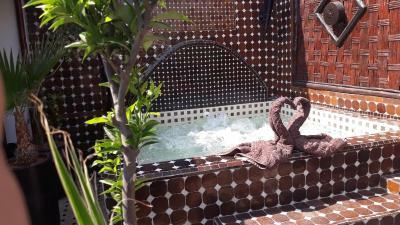 뀐 Located in the real heart of Marrakesh, this property has an excellent location score of 9.5! When would you like to stay at Dar Najat? 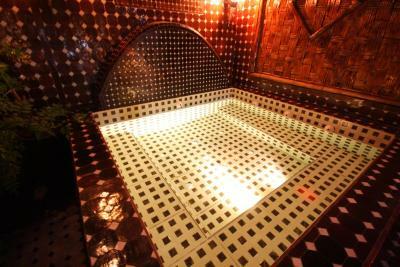 This air conditioned room is decorated in authentic Moroccan style. Private parking is available at a location nearby (reservation is not needed) and costs EUR 2 per day. This air-conditioned room has a private bathroom. This double room has air conditioning, sofa and patio. Hi there! 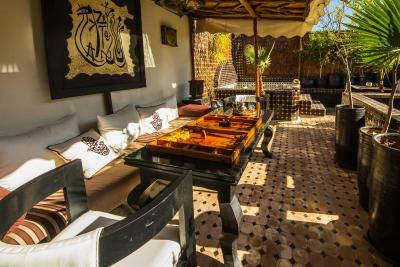 Riad Dar Najat is a very special place to stay in Marrakech with a lovely team & great surrounding and location five mn walk from the big square Jemaa el fna &great gastronomy on site & free wifi & free daily breakfasts. Area Info – This neighborhood is a great choice for travelers interested in street markets, markets and souks – Check location Excellent location – show map Guests loved walking around the neighborhood! Explore Marrakech's 1,000-year-old city center, where colorful bazaars, ancient palaces, and winding streets are everywhere. House Rules Dar Najat takes special requests – add in the next step! Dar Najat accepts these cards and reserves the right to temporarily hold an amount prior to arrival. Please note that for a stay of minimum 5 nights between 28/03/2019 and 1/01/2020 the property offers 1 free transfer from Marrakech Airport to the property. Please inform Dar Najat of your expected arrival time in advance. You can use the Special Requests box when booking, or contact the property directly using the contact details in your confirmation. This is a great place to stay. One of the best. The staff are incredibly helpful and friendly, going above and beyond to help us find places to go, things to do, and stay organized. Drinks are on hand, and they go beautifully well in the wonderful rooftop terrace. The lighting, artwork and overall decor is also faultless. 10/10 really. the bed was so comfortable and the room was clean. The most important thing is, the staff were sooooo nice! Btw, I love the tortoise and dog on the roof! Just an advice:I would suggest to change the linens from brown to white. White sheets and towels appear cleaner to the guests! The whole team is absolutely amazing,friendly and very helpful!The location is perfect, just 5-10 minutes walk from the Jemaa el-Fna, and in a quiet place just 150 meters from the beginning of the shops. The staff made us feel safe and comfortable.They picked us from the parking spot and led us to the Riad, also they showed us the first day, the road for the central market.They also gave us informations about the sights we should visit. 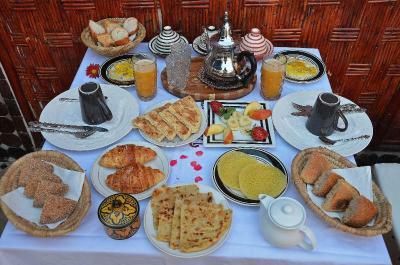 The breakfast was good and fresh, typical moroccan breakfast (coffee, tra, fresh orange juice, omeletes, croissants, pancakes, honey, homemade jam). The room was clean with moroccan decoration. They even offered us a free upgrade the second night, but we didnt accept it. Also the roof terrace is very beautiful. Overall, it was an amazing experience. 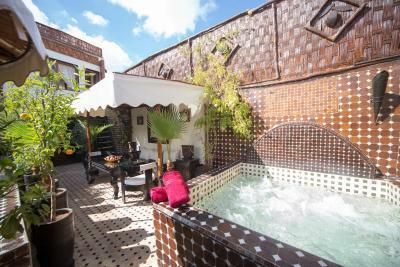 DefinItely recommend this Riad! We did have an issue one night, we were moved to a riad across from Dar Najat. But it was a lovely modern riad and they gave us a free dinner as way of apology. The dinner was beautiful. great breakfast, very welcoming staff, excellent location on a quiet side street so great place to relax on the roof but close enough to the main sights so you still get that hustle and bustle. I missed some fresh fruits at the breakfast. The room could be a little bit more colourfull. 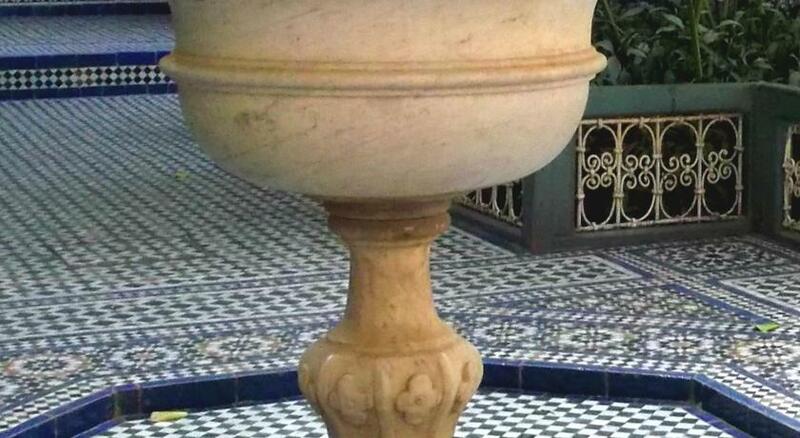 I stayed in many places in Morocco but I can honestly say that Dar Najat is one of the best riads in the country. The location is very good , just 15 minutes slow walk to the main square or Bahia Palace. The riad is very very clean which isn't a common thing in Marrakech. Breakfast are really big and tasty . I would like to say thank you to the fantastic team , especially to Hajiba ( always smiling and helpful , preparing wonderful breakfasts ) and Ahmed who helped us with so many things ! P.S Best mint tea in Marrakech ! Shukran ! Dziękuję ! Great breakfast, really loved the decor too. Staff very friendly! The only thing I didn't like was the fact that I couldn't stay longer... 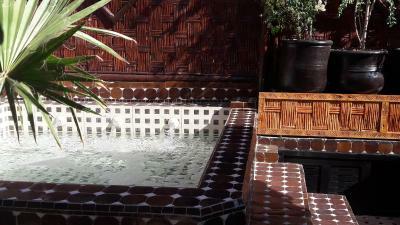 It is truly a beautiful and peaceful Riad to stay. We travelled in early March, and as the room was on the lowest floor it was a little chilly at times. The hot tub was also not in use, probably due to the weather, and there was no TV in the room. But I would still say it was one of my best experiences in accommodation I've ever had. I booked a stay here because this place was recommended online, and deservedly so. 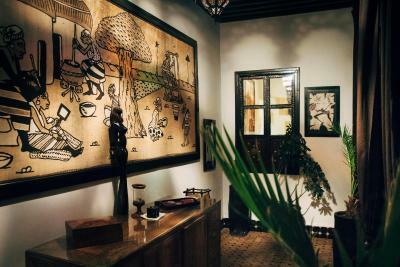 Marrakech is a daunting place to visit as a foreigner, and having a safe space like this in the heart of the city is ideal. The staff are incredibly friendly, going over and above to show kindness and hospitality, and truly create a homey atmosphere. The breakfast is immense, and taken on the beautiful open air terrace. The rooms were nicely themed, and suited us fine. Make sure you drink a lot of the mint tea here! They make it well! The only issue really was that the bathroom, and shower in particular, was extremely small. Also we had the one room that looks onto the street which could be a bit noisy at night time. 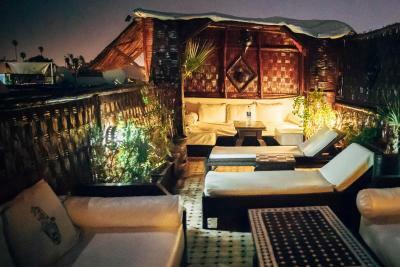 The staff at Dar Najat were exceptional from the moment we arrived and were welcomed with a drink on the beautiful roof terrace, to the time we left. Nothing was too much trouble for them and they were quick to offer advice on where to go and avoiding possible scams. Fresh orange juice and tea were always available (and complimentary) and there was a friendly atmosphere amongst other guests throughout our stay. The shower was a bit small, a bit of a squeeze for larger people. The staff were extremely helpful, nothing was too much trouble. The breakfast was excellent. Dar Najat was a great place to stay. Close to the medina, very nice staff and helping me with all i needed. I was there for work and needed all kinds of decoration stuff. They helped me very much with this and therefor saved me a lot of money. Further, good location and great breakfast. All together nice place to stay.